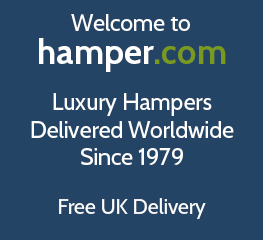 Welcome to Hamper.com, the home of indulgent chocolate hampers since 1979. With a range of delicious chocolate gift boxes, chocy hamper baskets and sets & luxury confectionery gifts for sweet-toothed family & friends in the UK and living overseas. Our sweet hampers and chocolate themed gifts come with a variety of sweet snacks including chocolate bar bouquets. All of our luxury chocolate gift sets and chocolate hampers come with free UK delivery. Our online luxury chocolate hampers and gifts contain a range of chocolate gift options, Cadbury and Galaxy chocolate bar bouquets, Lindor and Ferrero Rocher sweet trees are the perfect gift for chocolate lovers a for all occasions, whether it be as a birthday present, a thank you gift, a corporate treat for employee appreciation. All of our chocolate hampers and luxury chocolate gifts within our UK store can be ordered online, packaged and sent next day free to most destinations in the UK which make this a great last-minute gift idea, with options to send the present to a chocolate loving friend or family member living abroad. Or if you prefer, you can have free named day delivery to destinations within the UK and British Isles. As one of the most established hamper company in the UK, we are the largest provider of food and drink based hampers, with our online store consisting of a variety of sweet and chocolate hampers, gift baskets, gift sets and boxes for men and women, creating the ultimate chocolate gift for him and her ensuring that the recipient can indulge themselves with the wide range of accompaniments in our chocolate gift hampers, such as with accompanying soft drinks or alcohol beverages such as beer, wine, champagne or Prosecco. We have luxury chocolate hampers and chocolate gifts guaranteed to satisfy chocolate lovers of all ages. With a variety of chocolate available to suit all tastes; milk, dark, white and chocolate truffles, all neatly presented in a gift box or basket with a range of gourmet sweet and savoury snacks to enjoy, plus the added benefit of having an alcohol drink to accompany the treats whether it be wine (red, white or rose), champagne or prosecco or for an alcohol free version we have a number of strictly sweet hampers with either a soft drink accompaniment or drink free. We have sweet and luxury chocolate hampers to suit all tastes and lifestyles. Enjoy the moment on Christmas day when your Xmas chocolate hamper is opened by your lucky recipient. Whether its a small gift to say thank you or a large family sized Christmas hamper to say Merry Christmas, there is the perfect chocolaty treat in every hamper. Sometimes its a Christmas selection box, sometimes its top brand chocolate bars and ever so often its a delicious chocolate covering honeycomb, biscuit or other indulgent filling! Our range of luxury chocolate hampers for her are the ideal gift for female chocoholics. These chocolate gift hampers are ideal as a chocolate themed gift for your mum, wife, sister, girlfriend or daughter. Our chocolate gift hamper ranges have been assembled with ladies in mind with a selection of sweet items that they can enjoy whatever the occasion. One of our most popular chocolate hamper and sweet gift sets that are ideal for any occasion female family member or friend is the Chocolate & Prosecco Hamper, perfect for lovers of an alcoholic treat with their chocs and ideal for her birthday. Our range of luxury chocolate hampers for him are the ideal gift for male chocoholics. These chocolate gift hampers are ideal as a chocolate themed gift for your dad, husband, brother, boyfriend or son family members or male friends with a sweet tooth. Our chocolate gift hamper ranges have been assembled with men in mind with a selection of sweet items that they can enjoy whatever the occasion. One of our most popular chocolate hamper and sweet gift sets that are ideal for any occasion male family member or friend is the Chocolate Adventure Hamper, not only full of treats but also including luxury popcorn, biscuits and delicious truffles. We provide a wide range of chocolate themed gifts and although we pride ourselves on our chocolate hampers and luxury sweet gift sets for the ultimate chocolate loving gift recipient you cannot beat our range of chocolate bar bouquets and sweet trees. These popular chocolate gifts are highly sought after and go very quickly especially during social occasions such as; Valentine’s Day, Christmas, Mother's & Father’s Day. So if you’re looking for the best chocolate gift that is a little unique and don’t fancy a hamper than chocolate bouquets and sweet trees are the ideal present. Our larger version chocolate bar bouquets are loaded full of top British sweet brands such as Cadbury’s and Galaxy, with 20 chocolate brands containing favourites such as KitKats, Wispa’s and Crunchies all hand tied and wrapped in a presentation box making it a great gift alternative to a traditional bunch of flowers or chocolate gift hamper, and are ideal for people of all ages. Fancy something sweeter themed and not just chocolate? Then our sweet bouquet is the ideal present for sweet loving friends and family members. The sweet bouquet contains a mix of retro and modern sweets, with some chocolate bars within the bouquet but mainly decorated with sweets containing favourites such as the wham bar, love hearts, sherbet fountain and dip dabs all hand tied, wrapped in a lovely gift box making this the ideal sweet themed present. Our luxury chocolate hampers and sweet hampers are the ideal present for male and female friends, children and family members. Our luxury chocolate themed hampers and gift sets contain a wide variety of sweet treats and chocolates ideal to celebrate at any time of year, whether you are buying as a gift or just buying it as a present for the whole family to enjoy we have a selection of sweet treats to please everyone. If you are looking to create a chocolate or sweet themed gift bespoke to a particular person, then we would recommend you build your own personalised chocolate gift hamper by using our express hamper builder. By using our hamper gift selector, you can create the ultimate chocolate themed gift full of their favourite chocolate brands (Cadbury, Galaxy, Nestle, Ferrero Rocher and Lindor) and sweet items you know they will love. To create a personalised chocolate gift hamper, visit our Create Your Own Hamper page. Our luxury chocolate hampers and chocolate gifts can be order online and delivered direct to the gift recipients’ door on a free next day delivery to a wide range of destinations in the UK and British Isles. We also have a named day delivery option available for people who want to buy a chocolate gift and send to an individual on a specific day (Birthday, Mother’s Day, Father’s Day, etc. ), this can be selected at checkout. If your friends or family live overseas, buying a gift for them can be quite difficult. This is why we have created a range of chocolate hampers, sweet hampers and luxury chocolate gift baskets that you can buy online and we will send your hamper gift basket to recipients living abroad through our international delivery to many locations throughout the world. We provide chocolate gift hampers and gift baskets to individuals living in Australia, USA, Canada, New Zealand or South Africa so we make sure that your chocolate themed present gets to the recipient for the purpose it was selected for (Christmas, birthday’s or as a special thank you present). To view the range of chocolate gift hampers and chocolate gift baskets available for international delivery, visit our international delivery page.